A tractor and pusher prop in one package. 1mm press fit bore. Perfect for your Micro muliti engine or multi rotor machine. Props are similar in design and application to GWS Hyper Drive props. A tractor and pusher prop in one package. 1.5mm press fit bore. Perfect for your Micro muliti engine or multi rotor machine. Props are similar in design and application to GWS Hyper Drive props. A tractor and pusher prop in one package. 4mm bore. Perfect for your Micro muliti engine or multi rotor machine. Props are similar in design and application to GWS Hyper Drive props. A tractor and pusher prop in one package. 3mm bore with 5.5mm hex recess. Perfect for your muliti engine or multi rotor machine. Props are similar in design and application to GWS Hyper Drive props. Multi Rotor series also useful on Multi motor aircraft. LP08045MRP Multi Rotor series also useful on Multi motor aircraft. A tractor and pusher prop in one package. 3mm bore with 7mm hex recess. Perfect for your muliti engine or multi rotor machine. Props are similar in design and application to GWS Hyper Drive props. 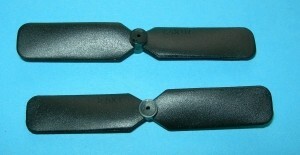 MLP09045MR Multi Rotor series also useful on Multi motor aircraft. LP09045MRP Multi Rotor series also useful on Multi motor aircraft. A tractor and pusher prop in one package. 3mm bore with 7mm hex recess. Perfect for your muliti engine or multi rotor machine. This prop set is similar in construction and application to GWS Gear Drive props. LP11045MR Multi Rotor series also useful on Multi motor aircraft. A tractor and pusher prop in one package. 6mm bore with 9mm round counter bore made to accept adapter ring inserts (included) with ID sizes 1/8", 3.17mm, 3.5mm, 4mm, 5mm, 2.5", 5/16" & 8mm hex recess. Perfect for your muliti engine or multi rotor machine. This prop set is similar in construction and application to GWS Gear Drive props. LP14055MR APC 14 x 5 Multi Rotor series also useful on multi motor aircraft. LP14055MRP APC 14 x 5.5 Multi Rotor series also useful on Multi motor aircraft. LP16055MR Multi Rotor series also useful on multi motor aircraft. 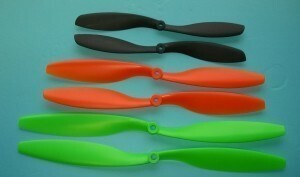 LP16055MRP Multi Rotor series Reverse Rotation also useful on Multi motor aircraft. LP18055MR APC 18 x 5.5 Multi Rotor series also useful on multi motor aircraft. LP18055MRP Multi Rotor series also useful on multi motor aircraft.